There are two elevated royal pavilions. 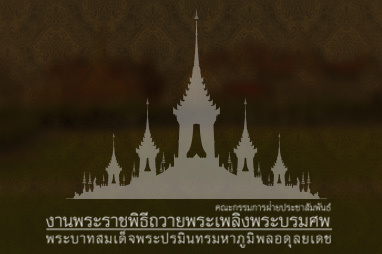 One is located at Sanam Luang, and the other at Wat Phra Chetuphon. The elevated royal pavilion at the ceremonial site is for His Majesty the King and members of the Royal Family to use in receiving the royal Urn from the Royal Chariot into the ceremonial site.